We have recently acquired a piece of boxing memorabilia with sturdy Forest Gate roots. 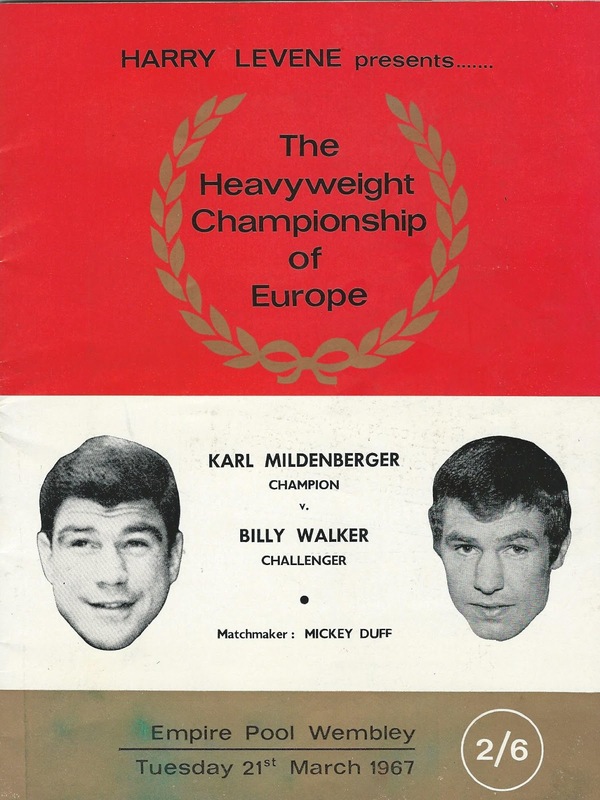 It is a copy of the programme for what was probably local boxer Billy Walker's biggest fight, when he met Karl Mildenberger at Wembley for the Heavyweight Championship of Europe, in March 1967. Walker, who was brought up in Ilford, was a member of the West Ham boxing club, fought regularly at Romford Road's West Ham baths (now the Atherton suites, being rebuilt), and lived for a while on Romford Road, owned the Upper Cut Club on Woodgrange Road at the time of the fight. 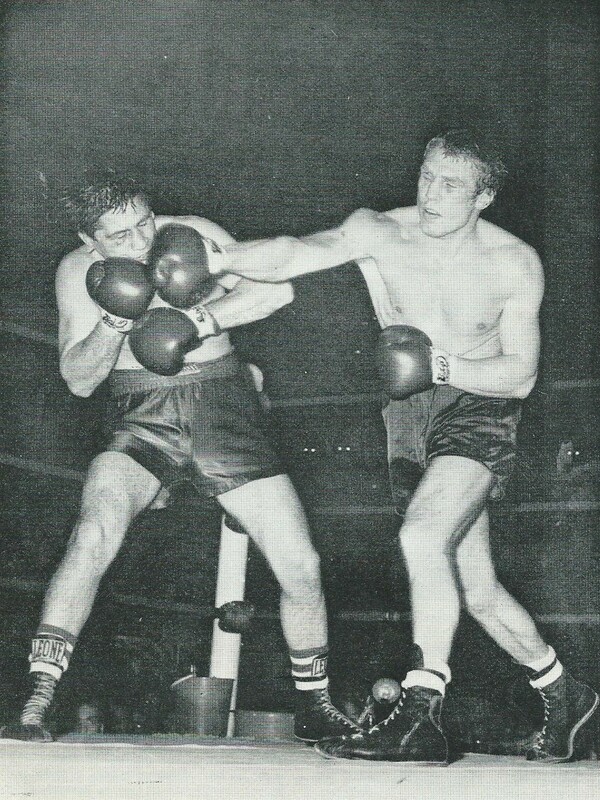 The images in this article are taken from the programme of that fight. 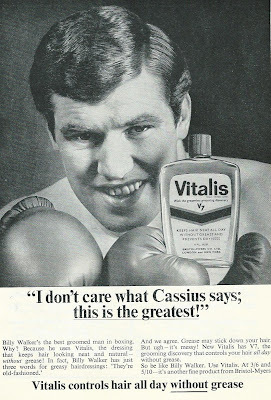 The copy, although written in a rather showmanship style, gives a clear indication of the importance of the bout in the annals of British boxing history. I have promoted many major tournaments in my time, including many world championship fights, but never in all my experience have I known such a rush for tickets as I have for tonight's battle between Karl Mildenberger, the holder, and our own Billy Walker, for the Heavyweight Championship of Europe. All tickets for this big arena (Wembley's Empire Pool) were sold before I had announced one single supporting bout. This is ample proof, if it were needed that Walker is the biggest box office attraction in British boxing history. 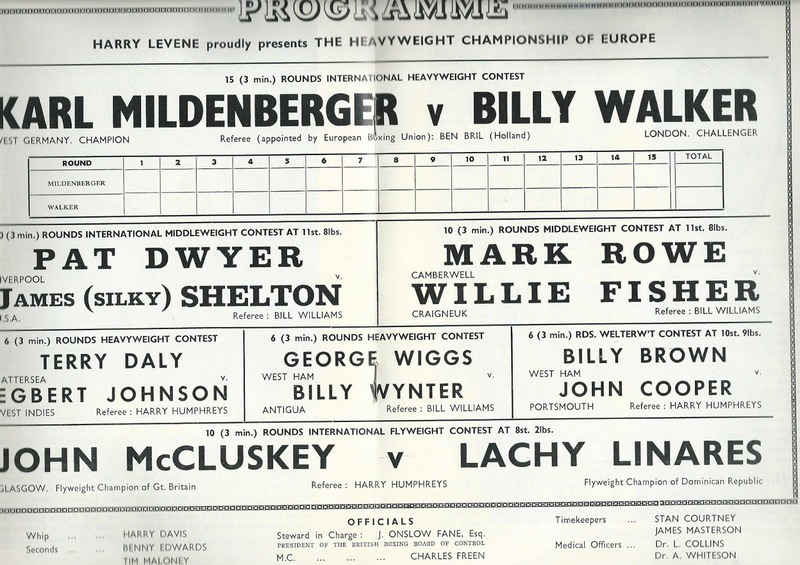 "Take 14 stone of muscle, lace it with guts and determination, top the lot with a handsome blond head and you have Billy Walker, surely the biggest drawing card in British Sport today. 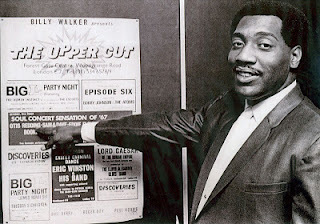 Almost from the moment he first put on a boxing glove, Walker has pulled in the crowds. His amateur career, climaxed by his sensational one round knock-out of the 17 stone American Cornelius Perry, in 1961, was a spectacular interlude relished by all but his opponents. His five years as a professional have been even more colourful. When it comes down to the fundamentals, boxing is a matter of hit and be hit, and we roll up in our thousands because Walker personifies the whole spirit of the business. He lays in with joyful abandon and if he stops one or two in return well, that's show business. In these circumstances anything can happen - and usually does. That is why Walker is the sell-out King and why nearly 11,000 are here at Wembley tonight, plus a further 40,000 at the far ends of closed circuit T.V. land lines have cheerfully put their hands in their pockets for the privilege of being in on this fracas. The drawing power will not go unrewarded. Billy's share for this, his first title fight, will be 23.5% of the take and undoubtedly part of the purse will go towards consolidating the highly successful business empire over which he rules in partnership with Big Brother George. Partners outside the ring as well as inside, the Walkers have invested shrewdly the cash garnered by junior's flying fists. They own garages, a fleet of taxis, a petrol company, a club and a couple of restaurants. Success of this kind is not always easy to carry and having a name that is a household word can turn a man's head. But not Walker's. Certainly he enjoys the recognition, the T.V. appearances and the glad hand, but his hat size has not changed and his feet remain firmly on the ground. he is still Billy Walker, everybody's mate. Beneath it all, however, lies an iron determination, a high standard of bravery and an uncompromising attitude towards his work in the ring. "Anyone who wants to keep me down", he says, "will have to nail me to the floor". It is an attitude which has already secured his place in the story of the British heavyweight division, and it could carry him a lot further up the rocky road to the top. face shows, that right really hurts! Hall on 6th December last. 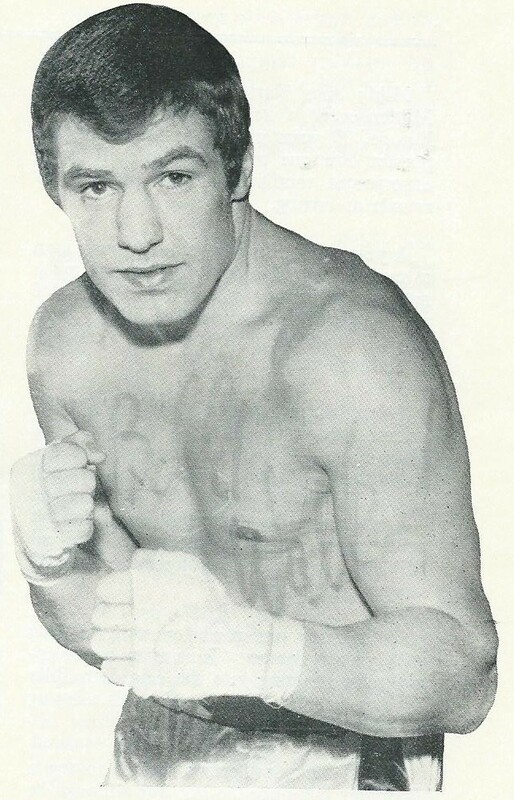 Mildenberger was by far the most formidable opponent I'd had to face in twenty-seven pro fights. ... In addition to the capacity Wembley crowd, the fight was shown in thirteen British cinemas and theatres and beamed to Germany, France, Italy and other European countries - a total audience of 75 million, apparently. ... George and I came out with £30,000, more than enough to buy and renovate the property of our second Baked Potato restaurant which George planned to open in Chancery Lane. I wish I could say I gave the watching millions value for money, but I can't. 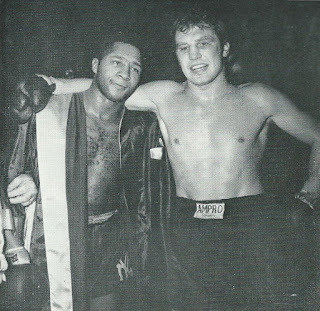 I did my best, as usual, went at Mildenberger from the first bell, and kept going forward, trying to land the big one, but I took a hell of a beating and I'll admit that it was the first time in my career - amateur and pro - when I was grateful that the referee called a halt; when I wanted a fight over and was content to lose. 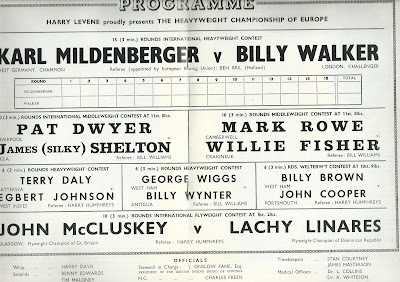 The referee stopped the contest in the 8th round and it was the beginning of the end of Billy Walker's boxing career. 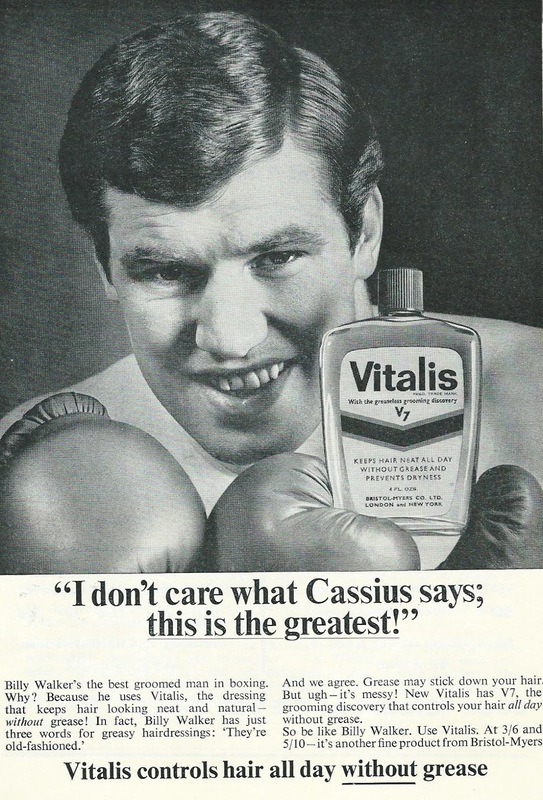 He had one more big title fight, against Henry Cooper, for the British and Commonwealth title in November that year, which he also lost, a single low key fight the following year, before bowing out after losing to British heavyweight Jack Bodell, almost two years to the day after the Mildenberger defeat. 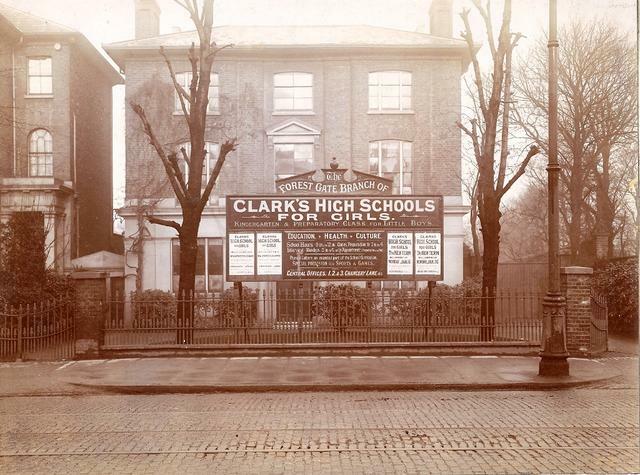 Although various charity schools were established in England before the nineteenth century, the major push towards providing formal schooling, particularly for middle and working class children, came with the development of two, competing, institutions in the nineteenth century. The Church of England began to sponsor an organisation, The National Society for Promoting the Education of the Poor in the Principles of the Established Church, that built schools which were popularly known as "National Schools". Non-conformist churches, in a bid to win the hearts, minds and souls of the young, sponsored a competing network of schools, via an organisation formally known as the British and Foreign School Society. These were popularly known as "British Schools". The rivalry was fierce, and when one of the organisations appeared in an area and sponsored a school, the other often popped up to provide some competition. And so it was in Forest Gate. Both adopted the monitorial system, where the older pupils often taught or supervised the education of the younger ones, in huge classes. There were very often few, if any, trained teachers in these institutions. 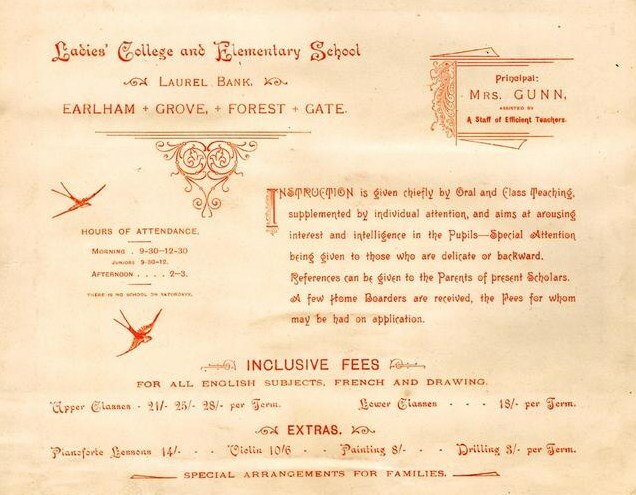 Other schools, such as Catholic schools, independent schools, "Dame schools" and the famous Earlham Grove Music Academy also prospered in Forest Gate in the latter years of the nineteenth century. This post weaves its way around the story of these early local educators. 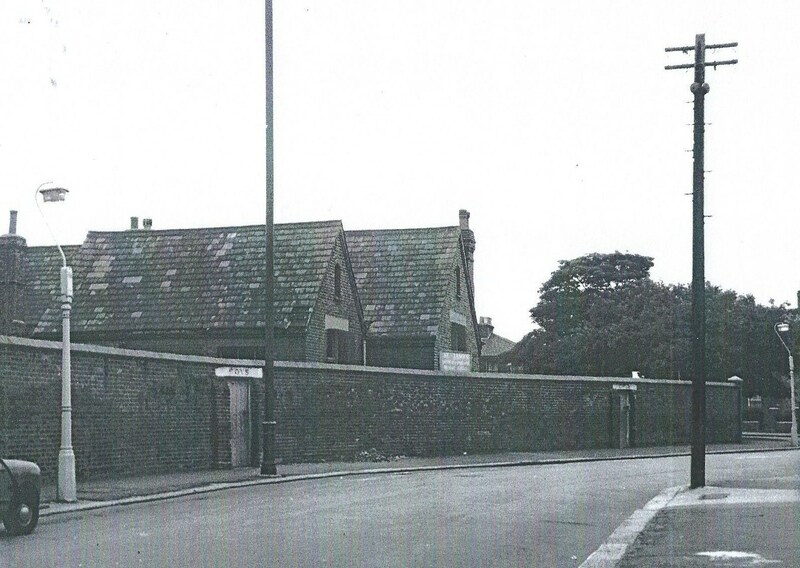 As we have already considered (see here), the first traceable "school" in Forest Gate was a British school; initially in the grounds of the Eagle and Child pub, and later, more formally, at the junction of Woodgrange Road and Forest Lane, in what is now an empty building (see below). 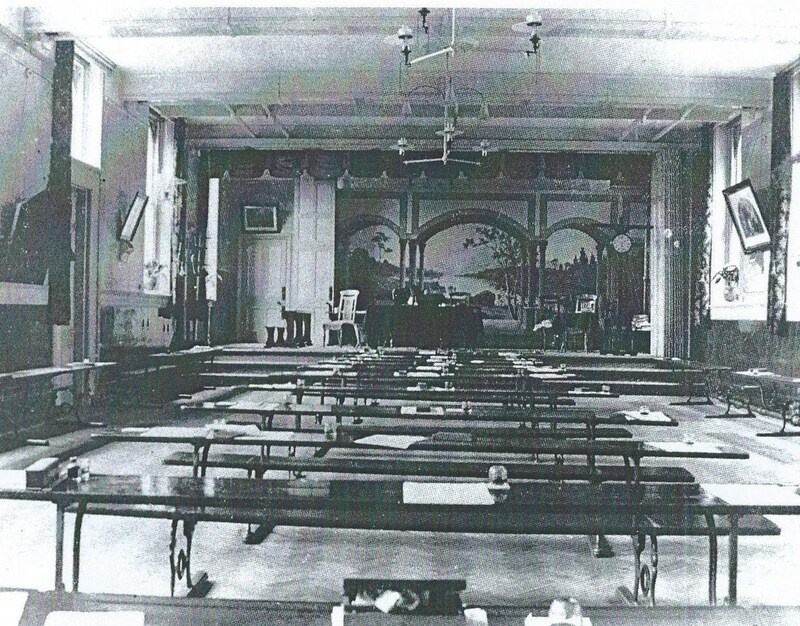 The school shared the premises (on weekdays) with the Congregational church. The school became the sole occupiers of the building in 1856, when the church moved to larger premises. 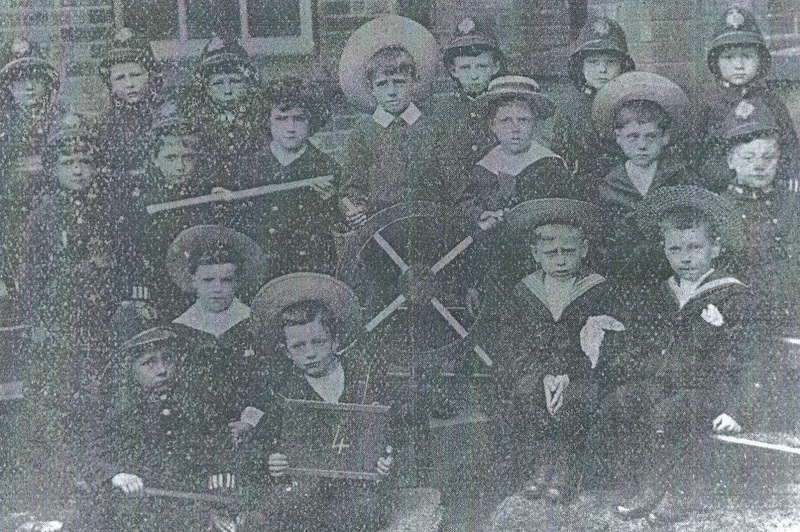 The "British School's" roll was around 80 at this time, although this dropped to 65 by 1871. The first burst of real growth of Forest Gate's population came in the decades after the establishment of the British school - mainly as a result of the development of the railways. Many of the newcomers appear to have been Church of England members, as indicated by the growth of CofE churches in the area (see a later post). The first "National" school to be established in Forest Gate was built on land donated by Samuel Gurney, just a little north of the British school, on Woodgrange Road, in 1853. (see extract from 1867 OS map, below, for respective locations). It was known as the National Emmanuel School, because of its close relationship to Emmanuel Church on the corner of Woodgrange Road and Upton Lane. Government building grants were received for the school in 1854, 1861 and 1867. In 1871 the average attendance was 141. 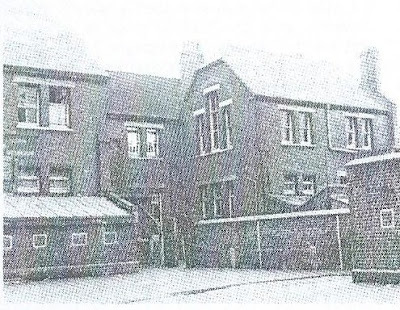 In 1884 the school was handed over to the vicar of St Saviour's in nearby Macdonald Road, when that church was established. 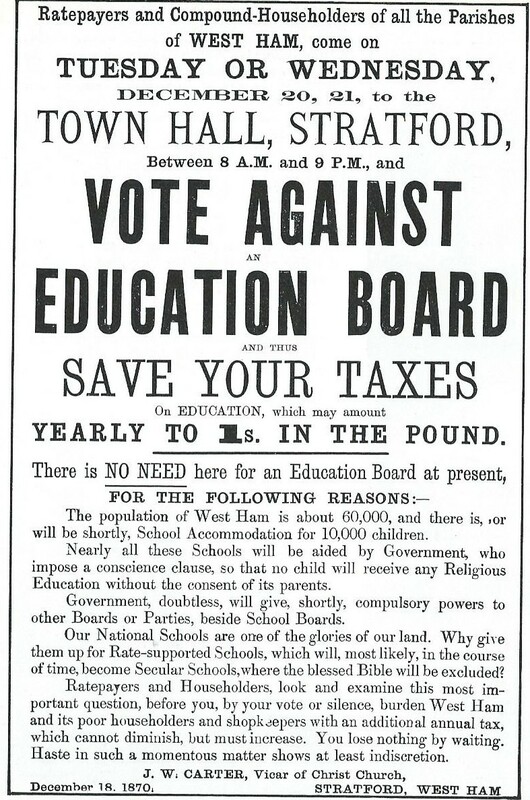 The Education Act 1870 established School Boards in every district of the country, to be paid for from local rates - the origins of the 'nationalisation' of the British education system. Forest Gate was covered by the West Ham School Board, which took over the local British (i.e. non-Conformist) school and maintained it until it closed, following the opening of the Odessa Road Board school, in 1874. 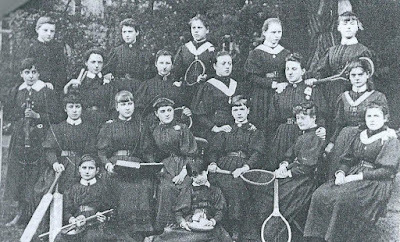 Odessa became the area's first truly state school, with places for 703 pupils. Rapid population growth saw the school extended in 1880 and 1889, to accommodate 1,312 pupils. The 'National' schools found the prospect of "state" opposition a threat to their control over the minds and education of the young (see reproduction of poster, below) , and fought the establishment of a local School Board energetically, as the poster indicates. They feared secularisation, and the influence of "ungodliness". Once it was clear the church had lost the battle over the establishment of state schools, they responded by the founding the St James' National school, to compete with the almost adjacent Odessa school, in 1874. It was founded by William Bolton, the vicar of St John's in Stratford, with a roll of 395 pupils. 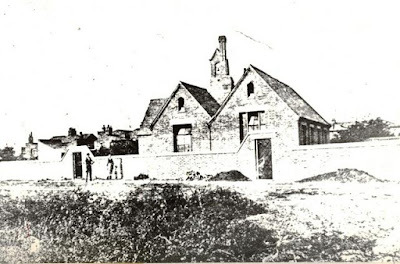 The original Emmanuel school, now called St Saviour's, suffered as a result, and eventually closed in 1894. Mass migration to Forest Gate in the last quarter of the nineteenth century further increased demand for school places in the area. The West Ham School Board responded with the construction of the Godwin Road school in 1885, providing facilities for 1,000 new pupils. The school, of course, survives, in a much modernised form, today. The School Board also opened the Whitehall Place school, in 1896, to provide for a further 1,400 places. 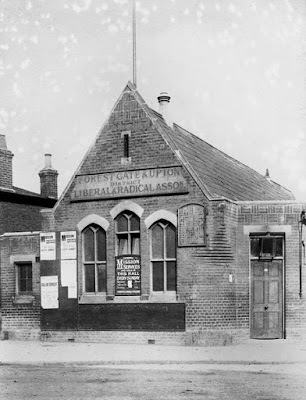 This survived into the second half of the twentieth century, when it was demolished, to be replaced by what is now Forest Gate Community School, on Forest Lane. 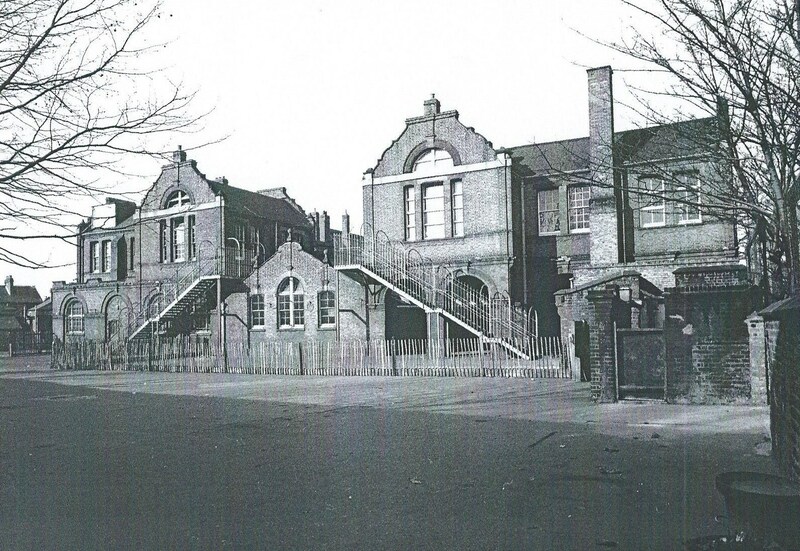 The first traceable Catholic school in West Ham was established in Stratford around 1815, and in Forest Gate in 1862. In that year four Ursuline nuns arrived in Upton Lane from Belgium, and as their order required, began supervising the education of young Roman Catholics in the area, and operated a boarding school. We will return in greater depth to the history of the St Angela's school they established, in a later post on this site. 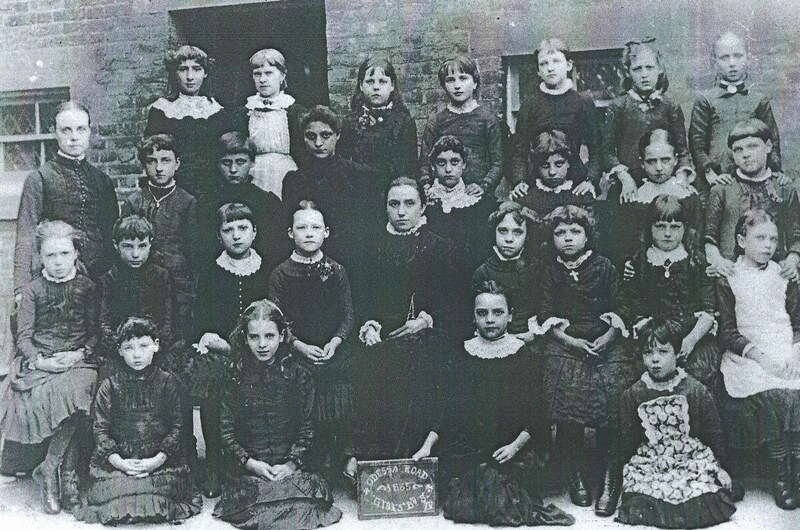 By 1902 St Angela's had been recognised by the state's Board of Education as a public secondary school. A preparatory department was opened in 1903. 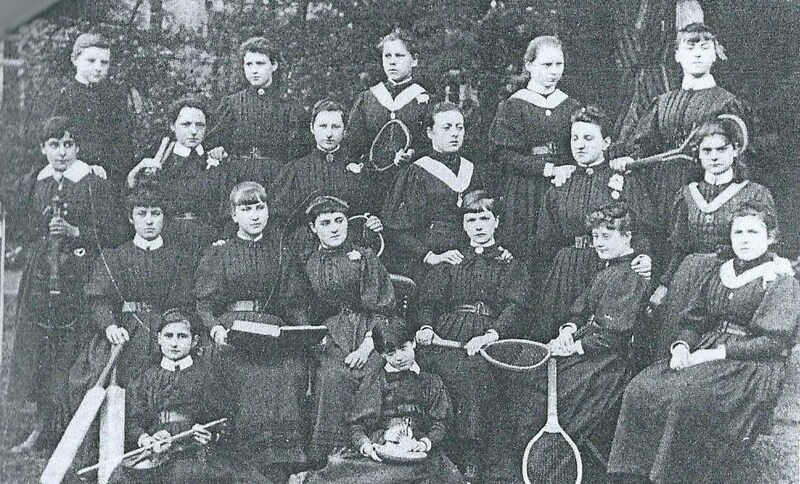 In common with other areas of the country, the East End of London saw the emergence of a number of "independent" schools in the nineteenth century, they were fee paying and some offered a reasonable standard of education and other, "Dame Schools", we often little more than child-minding bodies for working parents. These schools were unregulated and required no permission to establish. They were not inspected or controlled and standards were often shocking, as Dickens testified in many of his writings. This lack of registration means that it is difficult to establish accurate numbers of these institutions at any time, and certainly before the 1870's, to have any idea of how many children they catered for. 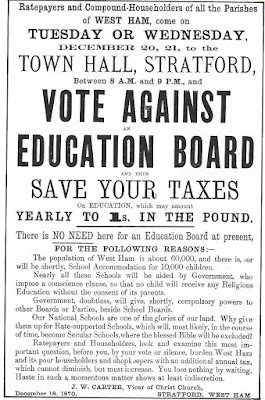 It was estimated, however, that there were 13 private schools in the West Ham Board area in 1904. 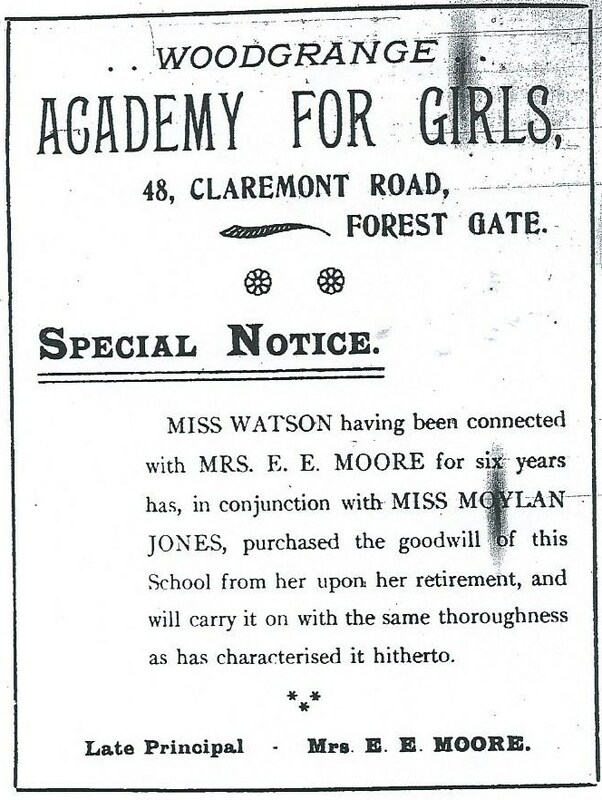 One of the most successful of these was the Forest Gate Collegiate School for Girls, founded in 1874 on Romford Road. 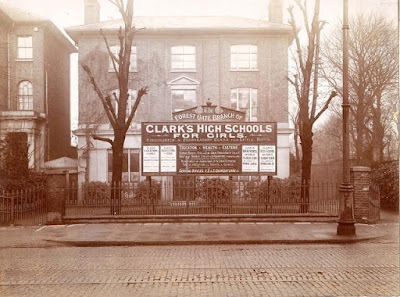 This was taken over in the early years of the twentieth century and became "Clark's (private)High School for Girls and Kindergarten and Preparatory Class for Little Boys" - as a close examination of the 1910 photo, below shows! Although it moved premises a time or two, it was still operating along Romford Road until the early years of World War 11. Its fate is unknown. Neither do we have much information about the local "Dame Schools", although adverts relating to two of them survive. 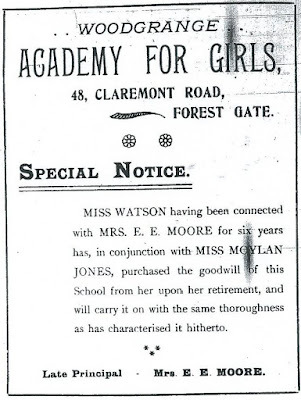 One, The "Woodgrange Academy for Girls", based in Claremont Road, was sold in 1889, as indicated by the advert, although no details of fees or services offered are available. 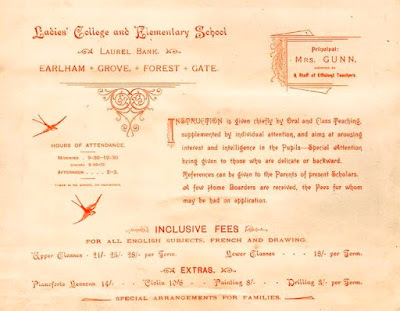 The second, the "Ladies' College and Elementary School" of Earlham Grove had termly fees of around £1, and offered "Special attention being given to those who are delicate or backward"!, around the year 1900. 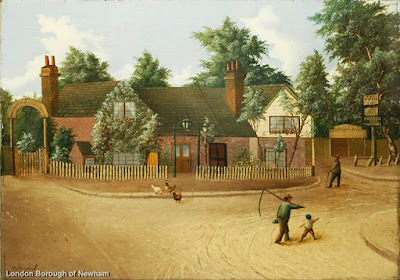 We have covered the history of the Earlham Grove Music academy, and its influence beyond the area's boundaries in some depth in this early post on this blog. Future articles in this blog will look at post 1900 education in Forest Gate and examine the history of one or two specific local schools. This is the second of two articles featuring nine of Forest Gate's English Heritage Listed buildings. The first appeared last week (see immediately below), and can provide an introduction to this, thus avoiding unnecessary repetition. The tenth Listed building in Forest Gate was featured in our article on Forest Gate's First £2m house? (here). House, later converted into club. There was a building on this site in 1717 and c1760 brickwork to north gable and east front survives, but this building was extensively remodelled in the 1880's. 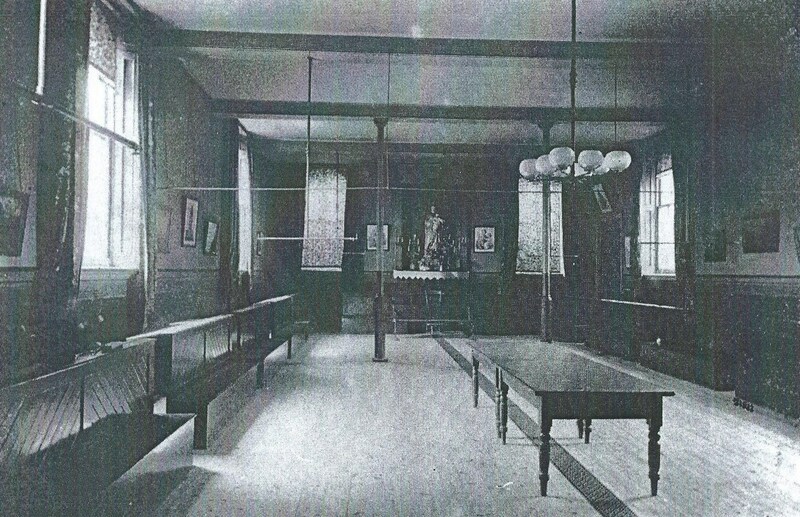 In 1933 it became a club, with the 1940's caretaker's flat raised to two storeys in the 1960's, erected on site of late C19 kitchen and services. The entire ground floor of the east elevation was converted into a single bar. Principal west front of 1880s of red brick with stuccoed dressings; roof concealed by parapet and end brick chimneystacks. Two storeys and basement; six windows. Larger projecting bay to north under curved gable has four-light French windows and balcony with pierced balustrade over canted bay to ground floor. Other windows are tall casements. Parapet has panels of pierced balustrading and elaborate urns. Moulded bands between floors and end quoins. Wide porch with cornice having central curved pediment with raised design and pierced balustrading to balcony supported on four rusticated Tuscan columns. North front is mainly C 18 brickwork and east elevation has full-height bowed bay of the same date. Interior features remain of the 1880's. Entrance hall has imperial staircase with elaborate wrought and cast iron balustrading with mahogany handrail and series of doors, some with carved surrounds. North ground floor room has marble fireplace with round-headed arch, bearded masked keystone and high relief panels of fruit. South room has some Minton floor tiles. Both rooms have c1880 window shutters and plaster cornices. Roof structure is of 1880s. Bell of 1762 in upstairs front office has been resited from a demolished cupola on the roof A Dutch merchant lived in a house here in 1717. Later it was the home of Mr Tuthill (for details of this important resident, see a later post), the manufacturer of early trade union banners and in 1933 it became St Anthony's Catholic Club. The building was in some disrepair by the 1990's, but with the assistance of English Heritage and Newham Council, it was given a thorough facelift around the time of listing. The inside, however, is still in a rather poor state (certainly given its origins and history) and is kept going by the hard work of volunteers at the club. There has to be some doubt as to how long this shoestring funding approach can be sustained. What then? would be a massive problem for a whole host of organisations. Mausoleum 1866: Architect - Sir Mattew Digby Wyatt. A circular domed stone building with Renaissance detail. On principal axis of cemetery. Engaged Corinthian columns. Enriched wall surface between. Rectangular windows under cornice with elaborate iron grilles. Richly carved entablature and parapet. Parapet and fluted dome finished with vases. 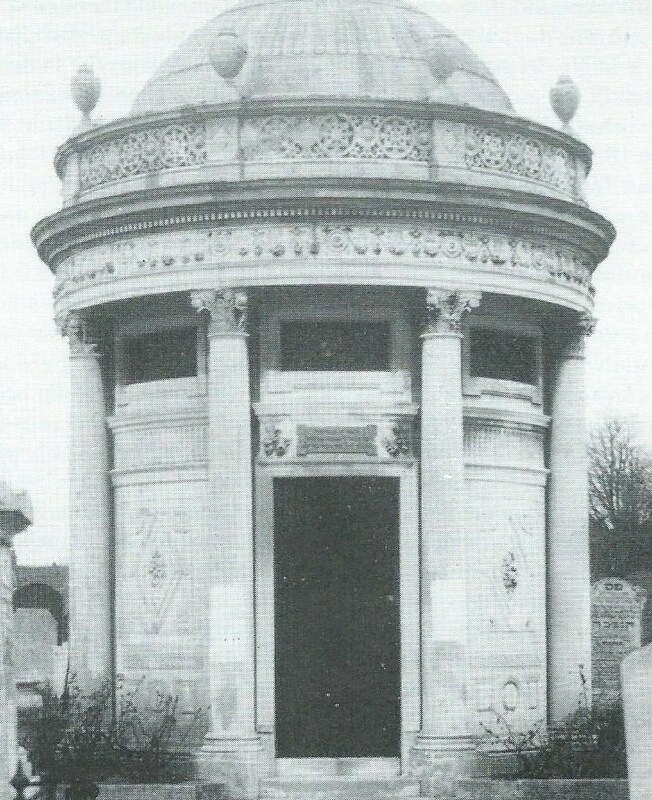 Mausoleum erected by Ferdinand de Rotherschild to wife Evelina. Timber-framed building, later a public house, dating in part to the late-C15 or early-C16 with subsequent phases of the late-Georgian, Victorian and post-WWII periods. Exterior: The central range of the main frontage, a timber-framed two-bay hall with open crown post roof, is the earliest part of the building and dates to the late-C15 or early-C16. There are two doors, both with C19 joinery, leading into the building here and the tiled roof eaves come right down to their architraves; there is a brick stack to the right of this range too. This early core is flanked by two-storey cross-wings, also timber-framed, that to the right contemporary with the central hall and that to the left dating from slightly later. Both have jettied, weather-boarded upper storeys with horizontal sliding sashes in the gables and rough-cast rendered ground floors; both jetties rest on later supports, a brick return wall to the left-hand wing and iron posts to the right on the eastern return. The cross-wing to the left has a four-centre arched door and a large window with marginal glazing on the ground floor, that to the right just a window opening, with an entrance on the canted corner to the return. This return, facing east, has a late-C19 bay window on the ground floor and more sashes on the first. Further along the return is an extension, weather-boarded in keeping with the original, but dates to 1968 and lacks special interest. Above it the gables of the Victorian part of the building are visible, complete with bargeboards and finials. The return to the west has two Edwardian porches and a brick chimney flue, also of a C19 or later date, as well as further sash windows. Beyond is the addition of the late-Georgian period, possibly a house originally, a stock brick range with a slate hipped roof, gauged brick arches to the sash windows and brick pilasters. The windows to the right have been altered or bricked in and the door altered too; it once had a canopy and porch. A two-storey extension with metal casements dating to the second half of the C20 abuts this building to the north. Alongside this are a single-storey 1980s function room and a garage. None of these three parts of the building have special interest. On the contrary, the Victorian sections, visible above ground floor and identifiable through their stock brick elevations with red brick dressings, timber sash windows, decorative bargeboards to the gables and slate roofs, do contribute to the interest of the building. Interior: In the single room of the central hall, the roof is partly-exposed. This is a crown post with lateral head braces and the timber is hand-sawn but without particular embellishment in the form of chamfers, stops, or other carving. To the right, set under the tie beam, is an inserted stack with hearth, timber bressummer, iron grate and oven. To the left, the wall has a later opening in its upper part looking through to the roof trusses of the cross-wing. A serving bar and back bar along the back of this room appear Victorian in date, as is some of the other joinery; other elements are modern. The floor is paved with York flagstones. The cross-wing to the left has a crown post roof with studs and braces to the walls. The ground floor ceiling is supported by Victorian iron colonettes and contains later fireplaces and panelling. The cross-wing to the right has a tie beam and moulded wall plate but no other elements of the roof are visible. There is a simple late-Georgian timber fireplace in the upper room in this wing, some plain partitioning of the same date in another and a sash window in a third room which may indicate the old end wall of the range. On the ground floor the principal beams in the ceiling are moulded and there are various items of panelling and other joinery including fireplaces dating to no later than the C19. Inside the later sections to the rear, both late-Georgian and Victorian, there are no fireplaces, bar counters or staircases of historic interest as the building was refurbished in the second half of the C20 and much of the fabric dates to this period. The interior of the Victorian section of the pub is characterised by a medley of timber-framed structures including one section that appears to be a jettied external wall of a timber-framed building, but that does not relate in its location to the late-medieval parts of the building. Some of the timbers are old, others newer, and most are painted with brown paint. A photograph of 1967 shows a gap in the external wall in this area and the timbers do not appear to be present; photos from 1968 show the interior as it is now. It is likely that most of the internal fabric in this part of the pub was assembled from timbers, perhaps salvaged from elsewhere, in the refurbishment of 1968. It lacks special interest. History: Originally a house, the Spotted Dog was later converted to a pub, possibly in the early-C19 when it appears on Clayton's map of 1821 labelled 'The Dog'. On an earlier map, by Chapman and Andre of 1777, it is not given a name, despite other public houses nearby being marked, so it was presumably a private abode at that time. A range (which appears domestic and may have originally served as the publican's house) was added in the late-Georgian period, before 1840. 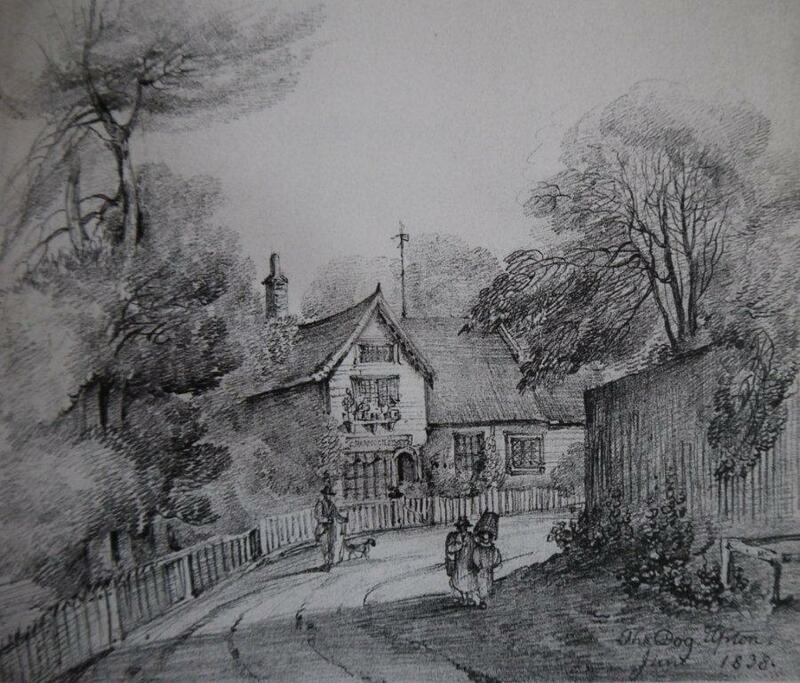 In 1839 the proprietor was a William Vause whose family held the lease until 1917. 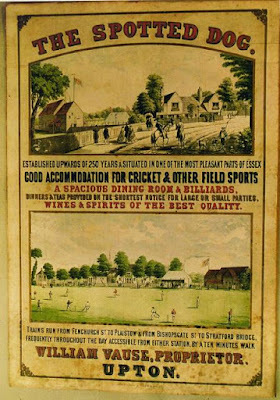 Vause advertised his business to Londoners in search of resort: a C19 poster survives showing the building and boasting of its 'spacious dining room and billiards' and 'good accommodation for cricket and other field sports'. 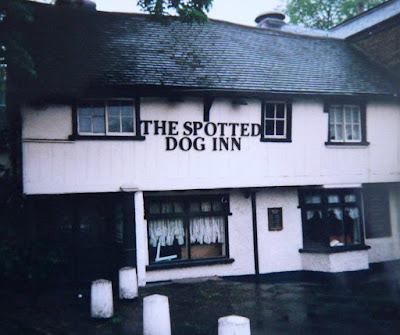 Spotted Dog, see above text. The billiards room may have been a modification of the late-Georgian range; it appears on later photographs with a timber lantern on the roof, which may have lit the games room. 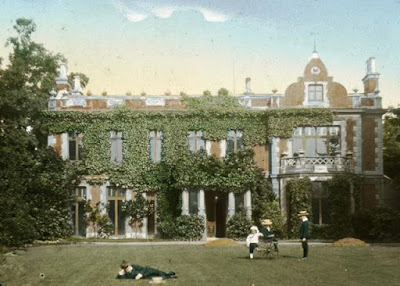 At that time the Spotted Dog overlooked playing fields to the west and gardens to the north. Under the Vauses, the old pub was enlarged further, probably in the decades between 1867 and 1896 when its footprint alters on the Ordnance Survey maps. The area around the Spotted Dog changed dramatically in the late-C19 and early-C20, and by the outbreak of WWI the claim on the Victorian poster that the pub was located in 'one of the most pleasant parts of Essex' was no longer true, not least because from 1888 the Spotted Dog has been in the County Borough of West Ham. Terraced houses lined nearby streets, the cricket field became the home of Clapton FC (the club remains there to this day) and the pub sold off some of its gardens. The pace of change accelerated in the second half of the C20 and further additions and alterations were made to the building, including major internal refurbishment and extension in 1968, before it fell out of use at the end of the C20. * particular poignancy as a rare-surviving late-medieval building in this area, evoking the rural character that could be enjoyed here until the middle of the C19, when this part of old Essex was lost to the expanding capital. 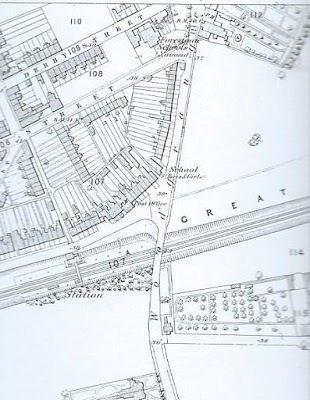 There are, in addition to the Forest Gate buildings highlighted above, a number of Listed buildings in Manor Park which relate to articles we have previously featured on this site. Among these are seven in the various cemeteries within the post code - mainly the City of London, plus the Manor House (featured recently in our potted history of Manor Park). Additionally, the Earl of Essex pub, now standing empty and in search of a developer, which featured in Ben Drew's film Ill Manors and the Coronation Cinema, which for a while was a snooker hall and now a (mainly) Asian banqueting hall, just around the corner.